The first thing that comes to mind when you think about "The Amazing Spider-Man" is simple, "Do we really need a Spider-Man reboot?". It has only been a decade since the modern take on Spidey was released and half a decade since the Sam Raimi films ended abruptly. So again, "Do we really need a Spider-Man reboot?". While we can honestly say no, the reboot itself is leaps and bounds better than Raimi's version not only in terms of story-telling but also its characterization. Not only is this version a more down-to-earth, serious, darker vision to who the Spider-Man is but this is the definitive big screen version that we can all relate being regular human beings. 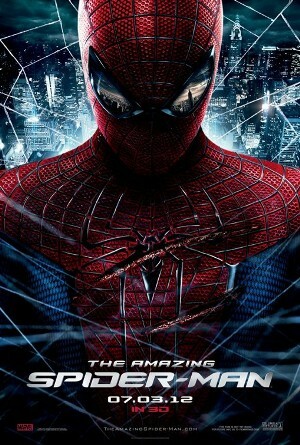 Peter Parker (Andrew Garfield) is an outcast high school kid who was abandoned by his parents as a boy. Peter, ever since that fateful night, has been raised by his Uncle Ben (Martin Sheen) and Aunt May (Sally Field). Like most teenagers, Peter is figuring out who he is. He is also finding his way with his first high school crush, Gwen Stacy (Emma Stone). One day, Peter finds his dad's bag and finds out more on what his dad did as a scientist. Discovering that his father worked with Dr. Curt Connors (Rhys Ifans), Peter fakes his way into Oscorp hoping to meet Dr. Connors himself. During the Oscorp internship, Peter is bitten by a radioactive spider and grows superhuman powers. While the basic building blocks to the Spider-Man story did not change much (especially knowing that people will compare this to Sam Raimi's version), everything else is leaps and bounds better than the film a decade ago. The reason is simple - people can and will relate to this Spider-Man. It is not that the story is more serious and darker or that the actors themselves are a perfect fit to their given roles or even that the fantastical feel of the superhero mold is almost devoid - it's a combination of everything above and more. Spider-Man feels real, like a real teenager would react as a boy who was abandoned by his parents at an early age. And the whole story involves other people's struggles as well. Like how Aunt May is affected by Peter's vigilantism or how Gwen's struggles with Peter as Spider-Man (in connection with her father being a cop). These subtle details make and complete the film and mythos being presented to the audience. The only negative thing we can say is that the film had a little too much dialogue at times. Some felt dragging to say the least and affected the pacing of the story. But once the action kicks in, the adrenaline pumped pace and effects will be something to behold. "The Amazing Spider-Man" may not be a perfect film but it is near it that missing this is something you shouldn't consider.